Most people think that during the days where less sun shines through the skies means that there is less UV exposure for us, as well. When in fact it is the complete opposite. On the days where its gray and cloudy, the most UV exposure is presented due to the sun’s rays bouncing off the clouds. It is very important to wear sunscreen each and everyday! 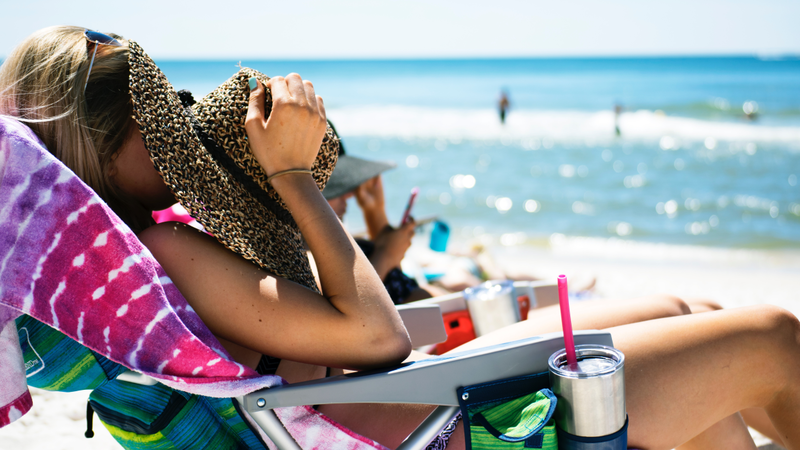 It’s a given that people always wear sunscreen when in an environment that involves water, such as the beach, a lake, a water park, primarily due to assumption of less clothing means more sun exposure. This assumption is true, however not the main reason you should wear sunscreen. Water is an ultimate bouncy house for the UV rays, meaning that when the sun hits the mass amount of water it allows all of the UV rays to reflect in various directions, and thereby exposing every part of our body to harmful UV rays. Being inside also doesn’t mean that one is protected by the sun’s detrimental rays. Unfortunately the places we are the most “protected”, we are also the most vulnerable. The two main places we tend to spend most of our leisure time would include our home and our car. Windows located at the house and car give a perfect opportunity for the UV rays to shine through. Most sun damage occurs on the left side of our face when we are driving because we don’t think to put protect ourselves when we’re in a car. And likewise, being at home doesn’t mean we can sit for long periods of time near windows and sliding glass doors without sunscreen. Harmful UV rays shine through daily no matter what the weather. Its important to use SPF daily! Visit our shop to see our wide variety of sun protection and find the right one for you. CoolSculpting vs. Vaser Liposuction: Which is right for you?